In a recent video by TPI (above), Dr. Greg Rose discussed the relationship between vertical jump ability and clubhead speed. As Greg explains, the same power in a vertical jump for a rebound is also a key source of power in the golf swing—vertical thrust. You may be surprised to know that TOUR players create a tremendous amount of push from the ground during the swing and have a vertical jump test average of 20”. Many power hitters reach upwards of 30” or more. The 2011 RE/MAX World Long Drive Champion Carl Wolter, who was a collegiate javelin thrower, jumps 32”. Jason Zuback achieves so much push from the ground that he is 6” off the ground at swing impact. But what if you are unable to jump? Thankfully, through progressive exercises, some changes to a few classics and by focusing on the strength and speed of the movements we can create better ground force reaction and more vertical thrust. There are several stages to gaining strength and speed for vertical thrust starting with establishing solid mobility all the way to lifting heavier weights. Even golfers who haven’t jumped in years can begin to work on their vertical. Trust me, my mature golfers have been working on their vertical thrust safely for years. Use tempo. Tempo is an often underused tool in training. You’ve got to move fast to be fast. Learn to use a tempo such as 3/1; 3 counts to load and 1 count to explode. When doing a squat or deadlift, bend at hip or knees for three counts and come up in one count. Progress from slow/slow with a 3/3 tempo, to slow/fast using a 3/1 tempo or fast/slow using a 1/3 tempo, then fast/fast using a 1/1 tempo. Example #1 Tempo heel raises, Example #2 Tempo deadlifts. Add another joint extension to the exercise such as a heel raise, hip extension or shoulder shrug. Adding another joint extension is a great way to work on sequencing too. Example #1 On the rise of the deadlift, you can add a heel raise and shoulder shrug. Example #2 On the rise of a squat add an overhead press. Increase the push down before or after rising. You can increase the push by; 1) adding weight, 2) adding momentum at the end of the loading phase, 3) pushing on an immovable object, or 4) pulsing during a movement. Try to “push through floor” before rising to increase the recruitment of more muscle and more force. Example #1 Ball slams for speed on the push down for whole body. Example #2 Perform fast step ups after slow loading. Example #3 Squat swings with full loading as if doing a squat jump. Example #4 Push press takes weight overhead by dropping quickly under to “catch”. Example #4 Kettlebell Swing is an exercise that using momentum in the loading phase. Change the position of the exercise. Use bands or another position to add “vertical push” resistance while in a non-vertical position. If might be possible to work a joint safely in the prone or supine position with more resistance than while standing. Example #1 Bird dog hip extension with a band is a great way to add strength and work hips at a faster tempo. Example #2 Prone rocking/jumping works on hip extension while rocking back then “jumping” forward. Finally, work around the limitation. This strategy requires creativity that you and your TPI instructor can customize for you. If you are unable to jump because you are unable to land the jump due to a limitation then you might focus on training the first part of the jumping movement. For example, you can load and jump but eliminate the landing. You might be able to propel yourself up to hold a bar then lower yourself down gradually using your upper body. Consult closely with your instructor for safe ways to apply this strategy. When dealing with an injury, seek out very specific medical advice regarding your limitation. Oftentimes, people are told “not to do weights” or “don’t do squats.” Perhaps, the goal of a squat can be accomplished in another safer and medically approved way. Specific information about the joint movement or load recommendations may allow you to achieve your goals in a new and creative way using one of these 5 strategies. Pam Owens was the first Level 3 TPI Golf Fitness Professional in Texas. She is an industry leader in fitness programming and nutrition coaching for TOUR players and amateur golfers all across the country. Over the years, Pam has contributed 21 exercises to the TPI video library and several articles on mobility and power. 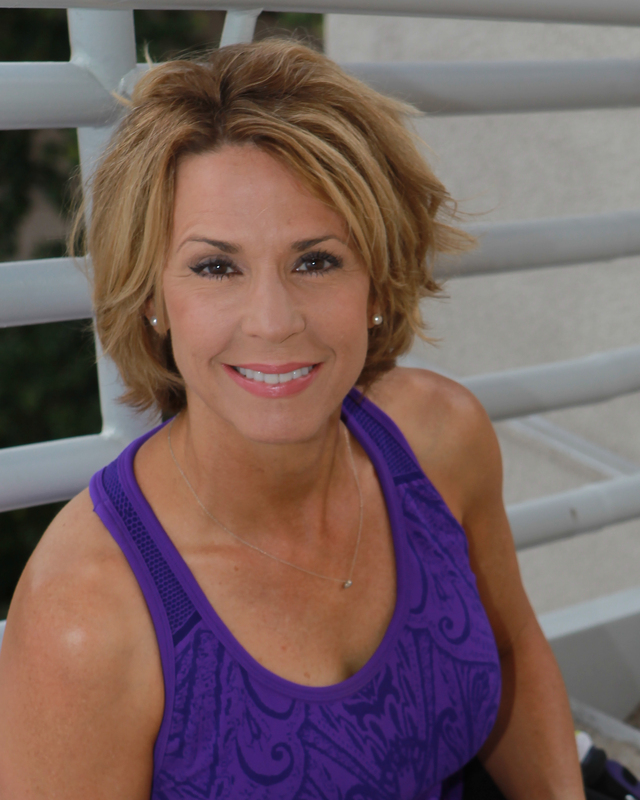 Pam owns Pam Owens Fitness and is the Fitness Director at Royal Oaks Country Club in Houston, Texas and would love to connect with you on fitness and nutrition via her website. I've had surgery for torn meniscus twice, 2008 & 2010, and have arthritis now in my left knee (right handed golfer). How do I know if it's the landing or the jumping that I causes me issues? These will be great for home. Great progressions in the video and overall info. Thx Pam! Great Video! I use a lot of low impact leg exercises with some of our older members and these will definitely be introduced into some of my circuits. Thank you, Paul. This has worked with my clients for years. Not everyone can do Oly lifting or plyometrics. Let me know how it goes. Keep in touch! Great article with great examples of what can be done. Very clear and to the point. Thank you, Chris! Some of these methods can be adapted to every exercise....tempo, loading, etc.